Was this one. 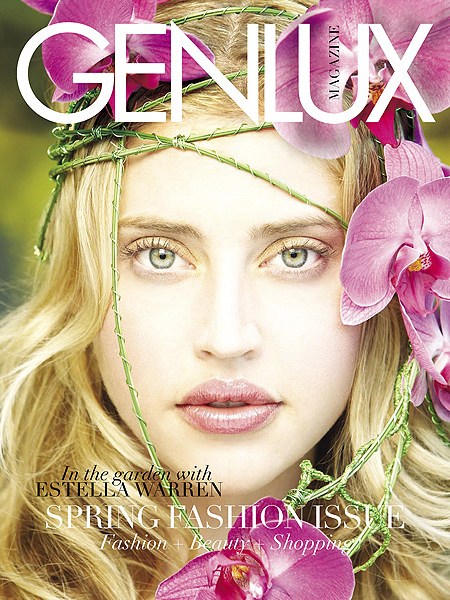 As much for how beautiful it is as for who is on the cover—Estella Warren. She's one of the 15 or so models who have been the face of CHANEL No. 5. In 1998 Estella appeared in this commercial that, next to the CHANEL Egoiste commercial, I've probably viewed 1000 times. So it was exciting for me to work with her on our GENLUX cover with photographer Robert Deutschmann.